Relationships are so crucial to our wellbeing …and yet we do count ourselves very fortunate when we have really great relationships in our own life. Finding and maintaining good relationships takes time and commitment… and plenty of goodwill, and acceptance of idiosyncrasies, on both sides. While we know it is inevitable that you have some times of rocky relationships, we are saddened to know that you, or someone close to you, has lost one or more relationships and has become lonely. There are so many reasons that anyone one of us could lose our nearest and dearest – temporarily or permanently. Sometimes we are not losing anyone… they are just changing locations… no longer living with us anymore, but still fully committed to us… and yet we can still feel very lonely. 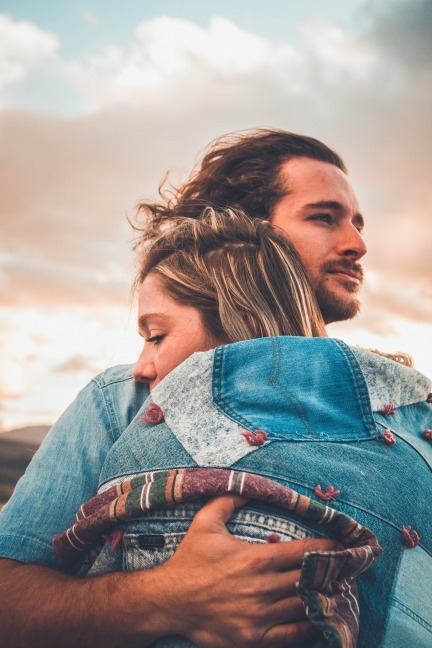 Other times we have lost the relationship rather than the person who still is in our home every day… losing an emotional connection that brought us together or that we shared since one of our births is really hard, and can lead us to feel very lonely. Humans are strong and resilient in so many ways… and yet we can also be so fragile! When we can’t get over the challenges we are experiencing with our relationships changing we sometimes slump into loneliness, making our situation all the harder to deal with… especially without help. Sometimes even when the other person in the relationship tries hard to improve a deteriorating situation, or the person we lost has long gone, we still have thoughts which affect how we feel about ourselves, and how we interact with others… sometimes without realising, we further our own loneliness. Whatever your circumstance, we just want you to know that you’re not alone feeling like this… sadly there are many people like you who are hurt and lonely. Our aim is to help get you to better understand yourself, others and the world you are in – to help you move you from the very low loneliness you are in to a space where you feel more able to connect well with yourself and other people. We have written some pages on some aspects of being hurt and lonely, for you to possibly identify with or learn more from. We also appreciate that everyone’s situation is unique so if your cause of being hurt and experiencing loneliness is not on one of these pages, or elsewhere in our “I’m feeling lonely” section of the website, we are still here for you. So please look through our pages… and be in touch if you would like to consider further help from us, as an individual or as a group. People feel lonely for many reasons. To learn more about relationship status and lonely categories, select one of the coloured boxes below, or scroll down the “I’m feeling lonely” menu.